1) Your using a 10mm shank bit (w/flat on shank): Most metric drill bits have a 10mm shank with a flat area machined onto the shank (for set screw tightening). 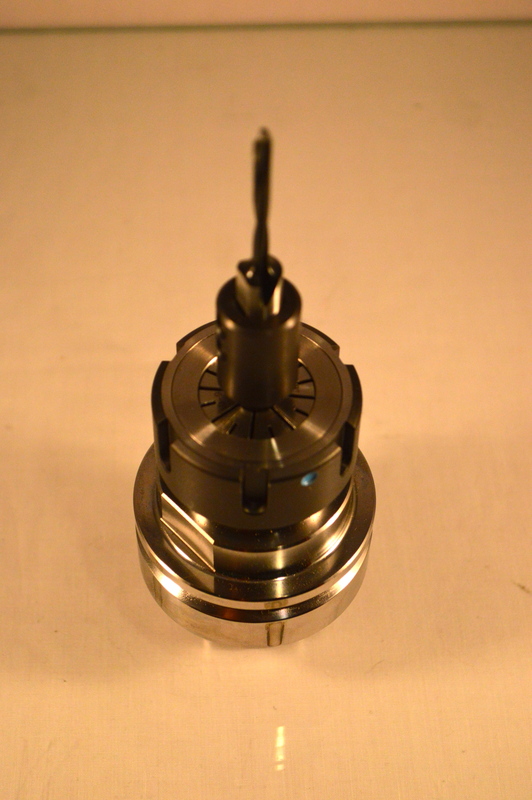 When inserted into a 10mm collet this flat spot prevents the collet from concentrically gripping the shank all around. (see image). HSK 63 F Toolholder with collet and drill bit with flat spot. 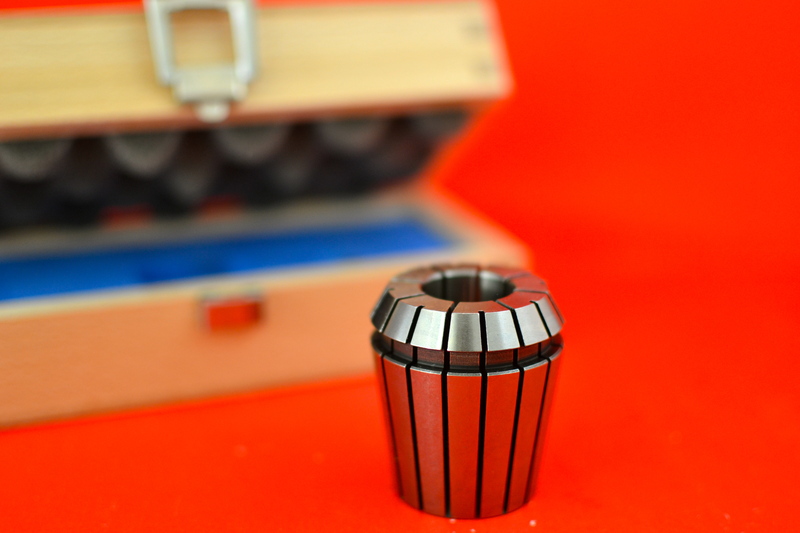 The collet does not grip the shank all around. 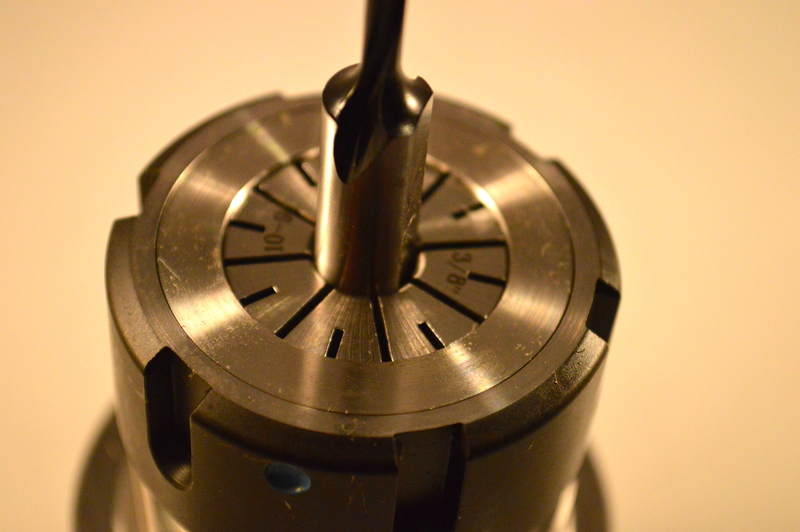 The solution: a small drill adapter (6381) that goes between the collet and the drill bit fills this space and allows the collet to concentrically grip the shank. This adapter has a 10mm cylindrical shank (no flat) to go, which accepts the 10mm shank w/flat drill bit, tightened with a set screw as is standard on boring machines. 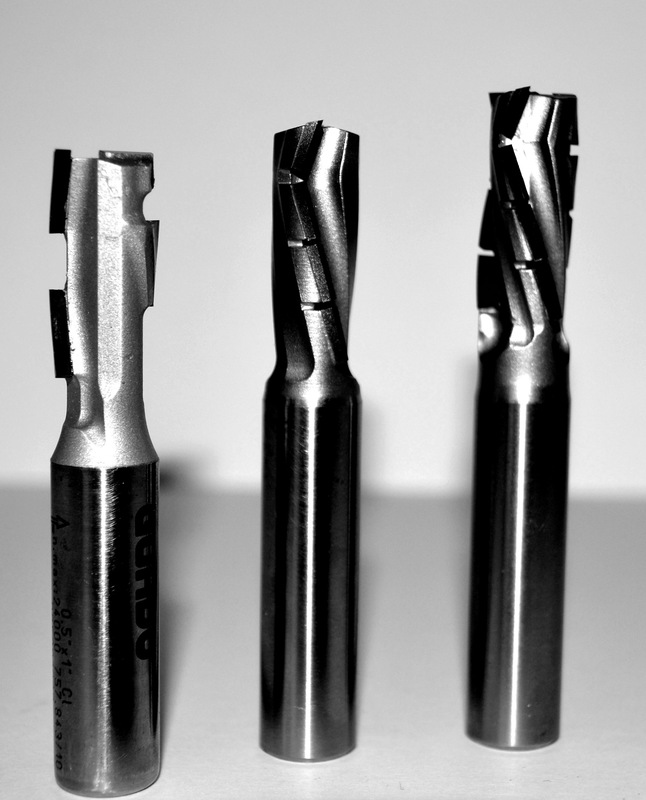 2) Using cylindrical shank bits (no flat on shank): Many in-between or uncommon sizes of cylindrical shank drill bits don’t fit snugly into the closest collet size available and therefore slip or chatter during the drilling process. 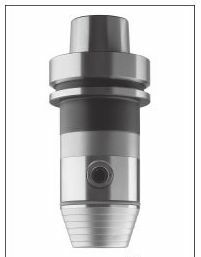 The solution: a Universal drill adapter (6380) which comes in two diameter ranges, infinitely adjustable within the specified range. (accepts 1-13mm diameter drills, or 3-16mm diameter) and is available in HSK63 F, ISO/SK30 and SK40 version. The 6380 Universal Drill Adapter has high-clamping power and accuracy, is Made in Germany, and can be run either clockwise or counter-clockwise. 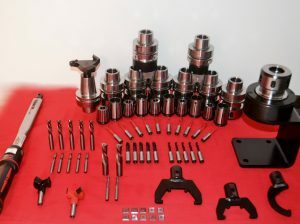 For more information check out The Drill on Drill Bits or visit our website at guhdo.com! Hotlanta has some excitement in store for you when you come to town for the next IWF in August 2014 (Georgia World Congress Center). 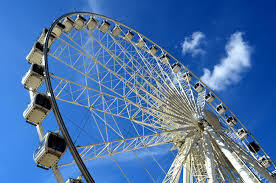 Yes, we know it is hot and muggy this time of the year but a ride on the Skyview Ferris wheel in climate controlled compartments will be a real treat and from above, Atlanta is an especially “cool” place. You will be able to see the 1,686 ft high monolith, Stone Mountain, from the top of the 15 minute ride and enjoy a spectacular view of this vibrant southern hub. It might not quite measure up to the “London Eye”, but don’t underestimate this city. It’s aiming to be the “New York” of the South in the years to come! Skyview will be open for rides just a stone’s throw from the convention center at Centennial Olympic Park. For those of us who have been around long enough to remember the debut of the International Woodworking Fair at GWCC in 1982 we can honestly say, Atlanta, you’ve come a long way, baby! For more information about the Ferris Wheel click here. 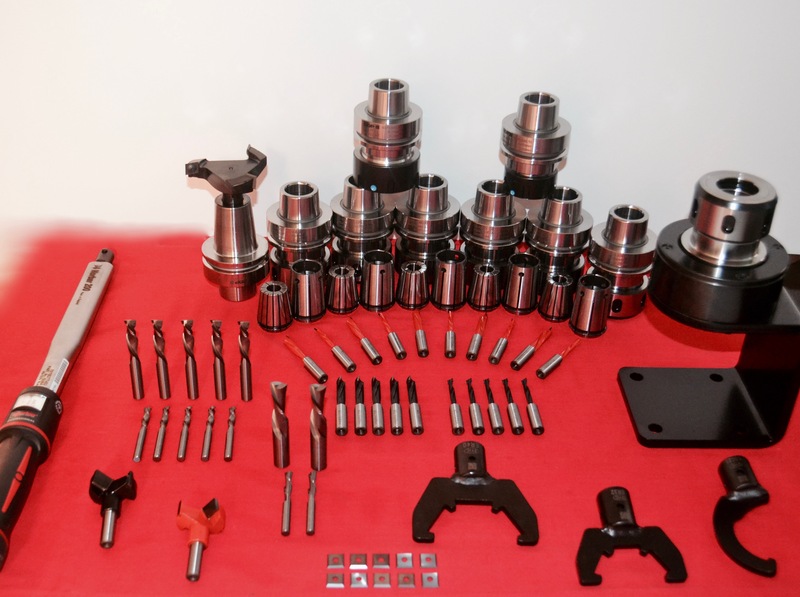 For more information about GUHDO Tooling visit our website! 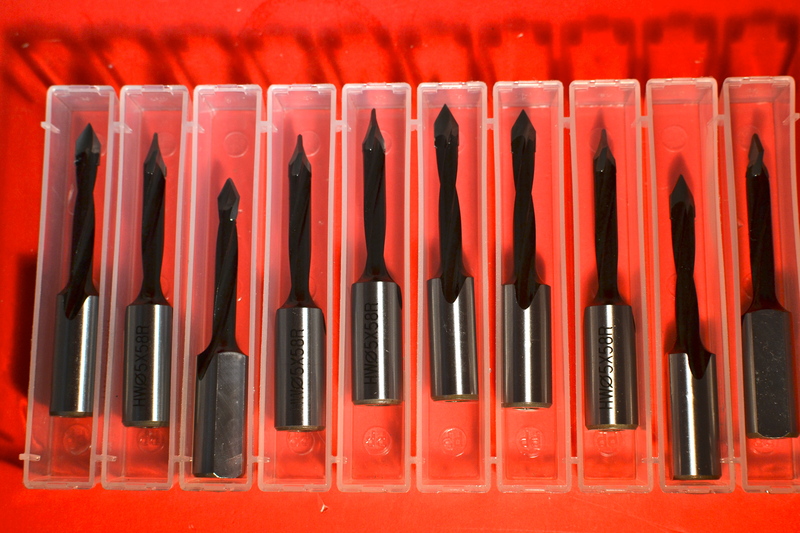 These PCD diamond router bits were recently featured in an article about Tooling Technology for Woodworking on woodworkingnetwork.com as one of the greatest ways to reduce tooling costs in the right situation. PCD tools are great for situations where the material being cut is consistent lacking metals or impurities that might chip the bit. 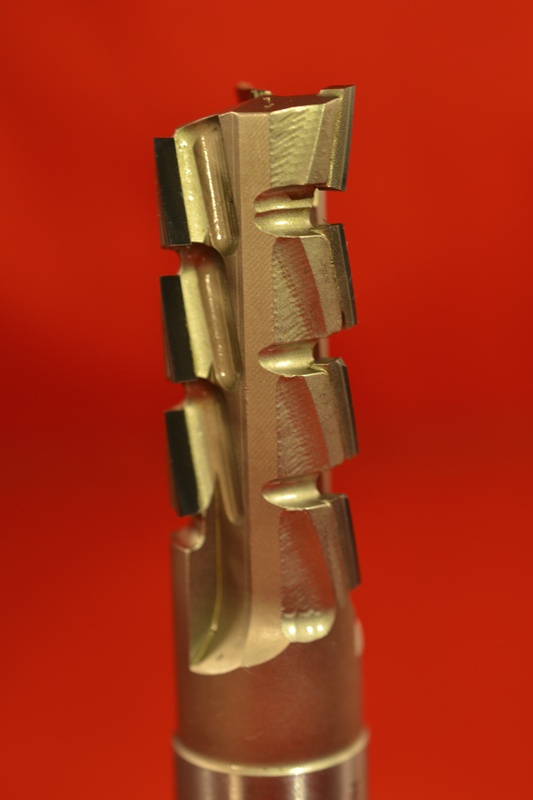 6811- Our disposable style single flute diamond compression bit (Z1=1) is designed to be used in slower feed rate applications (to 18ft/min) with a cut length of 1″. While this tool is considered a disposable bit it can be sharpened one time greatly increasing the cost savings over solid carbide when comparing the costs. 6812 – Our 2-flute diamond bit features a solid carbide tool body and a short upcut, suitable for nesting cuts. The cutting edges shear toward the center of the material in an up/down angle, to provide a very clean cut on laminated materials. This bit can be sharpened approximately 4 times when used under normal wear conditions and can be run with a feed rate of up to 650ipm. 6818 – Our 3-flute diamond bit features a solid carbide tool body and a short upcut and like our 2 flute it’s suitable for nesting cuts. The cutting edges shear toward the center of the material in an up/down angle, to provide a very clean cut on laminated materials. This bit can be sharpened approximately 4 times when used under normal wear conditions and can be run with a feed rate of up to 900ipm. The biggest difference between the 2-flute and 3-flute is the feed rate which can be used.